Cruise downstream from Dibrugarh along the Brahmaputra river. 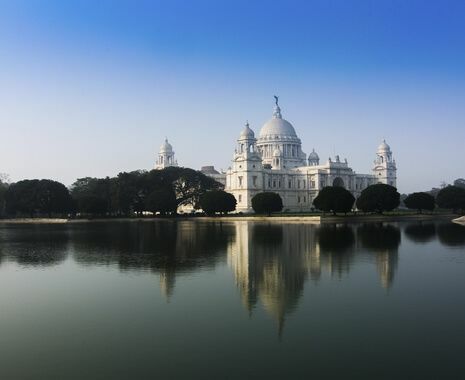 Discover the ancient capital of the Ahom kings, visit Hindu monasteries on one of the largest riverine islands, and take a 4x4 safari in search of the endangered onehorned rhino. Finish in Guwahati, a town renowned for its tantric traditions. The river cruise itinerary is subject to river conditions and elephant safaris are subject to availability. Kaziranga National Park features low-lying grassland, which may be off-limits when the river is at, or near, flood level. Please note that shorter versions of this Assam cruise including 4-, 6- and 7-night itineraries are available. The above is based on Assam dispatch 4 downstream cruise. For further details including departure dates, please call to speak with a Cox & Kings consultant or enquire online.